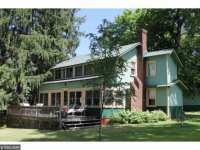 BEAUTIFUL ESTATE ON PRIVATE SETTING OF 4.5 ACRES SURROUNDED BY MATURE PINES BOASTING 400?? OF SANDING BEACH ON GULL LAKE! 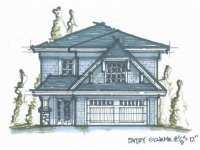 NUMEROUS CUSTOM FEATURES INCLUDING FIELDSTONE . 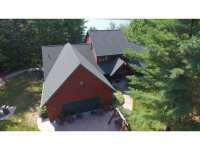 . .
BEAUTIFUL ESTATE ON PRIVATE SETTING OF 4.5 ACRES SURROUNDED BY MATURE PINES BOASTING 400� OF SANDY . . . THE LOOKOUT PLAN. THE HARBOR AT EAST GULL LAKE FEATURES BARATTO BROTHERS QUALITY BUILT LAKE HOMES ON GULL LAKE. 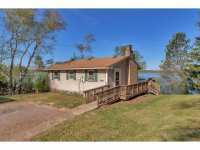 ALL 27 COME WITH A 30FT HARBOR SLIP, PERMANENT DOCK, A . . . THE ANCHOR PLAN. 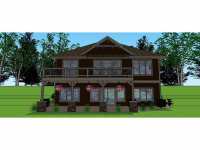 THE HARBOR AT EAST GULL LAKE FEATURES BARATTO BROTHERS QUALITY BUILT LAKE HOMES ON . . . 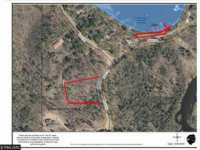 EXCEPTIONAL 2-ACRE LOT WAITING FOR YOUR NEW HOME OR CABIN. 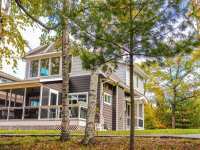 OVERLOOKS GULL LAKE TO THE NORTH AND BEAUTIFUL COUNTRYSIDE TO THE SOUTH. 150' OF FRONTAGE AND PARTIALLY . . . 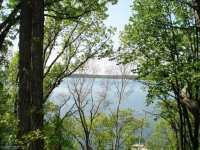 MATURE WOODED LAKE LOT WITH ACREAGE AND EXPANSIVE VIEWS OF GULL LAKE! BEAUTIFUL CEDAR AND PINE. SHORELINE IN UNDEVELOPED AND SOFT. SOUTH EXPOSURE. 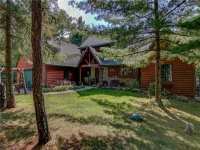 BEAUTIFUL HEAVILY WOODED LOT ON GULL LAKE. WEST FACING FOR SUNSETS, SAND BOTTOM FOR SWIMMING. BIG TREES FOR CLIMBING. LAKE LOT ON GULL LAKE! 1.24 AC BUILDING LOT WITH DRIVEWAY AND ELECTRICITY ALREADY IN. 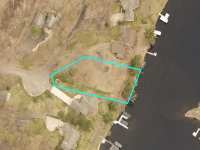 LAKE LOT ON GULL LAKE! 1.88 AC BUILDING LOT WITH DRIVEWAY AND ELECTRIC ALREADY IN. LAKE LOT ON GULL LAKE! 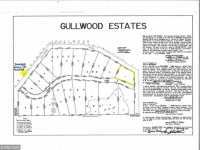 1.80 AC BUILDING LOT, LEVEL TO LAKE WITH DRIVEWAY AND ELECTRIC ALREADY IN. 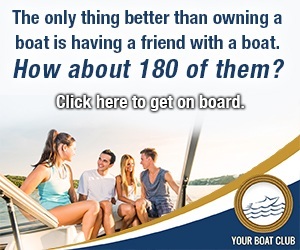 GREAT OPPORTUNITY TO BE RIGHT ON THE WATER WITHOUT ALL THE TAX CONSEQUENCES. 2006 PARK MODEL HOME IN A GREAT LOCATION. 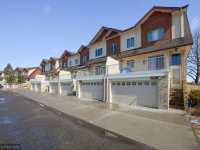 MANY AMENITIES INCLUDED WITH OWNERSHIP IN SUMMER . 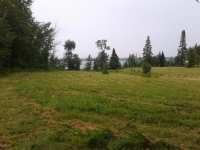 . .
LARGE LEVEL LAKE LOT ON GULL LAKE. DRIVEWAY AND CULVERT ARE IN. 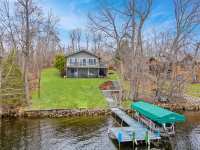 175 FEET OF LAKE FRONTAGE. 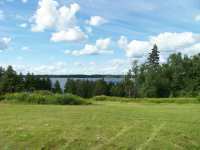 NICE SLOPING LOT TO THE LAKE ON THE SOUTH SHORE OF GULL LAKE. Stretching out on the shores of Gull Lake in northern Minnesota, it may be difficult to remember, much less stress about, the pressures of everyday life. Soak in the summer sun as you breathe in the clean crisp scent of the white pine forest. Feel your cares slip away as you relax and play on the extraordinary Gull Lake. 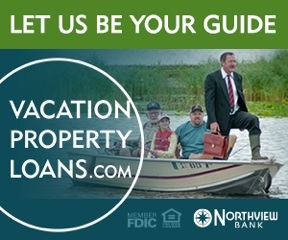 If you are searching for a new sort of vacation destination - a destination where you can truly relax and get away from it all, look no further than Gull Lake of northern Minnesota. Gull Lake is the largest and one of the most popular lakes in the greater Baxter/Brainerd area of northern Minnesota. 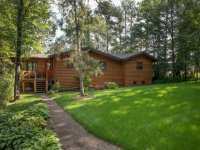 In fact, the Brainerd�area and its surrounding lakes are known to offer some of the best fishing and scenery in the state. In total, Gull Lake encompasses nearly 10,000 acres of surface area. The maximum depth is approximately eighty feet. Approximately one third of the lake is fifteen feet or less. With the depth and climate of the waters, fishing is one of the most popular activities on Gull Lake; the lake is virtually brimming with an array of delectable fish varieties including pike, smallmouth bass, largemouth bass, muskie, tullibee, perch, panfish and northern pike. Gull Lake attracts anglers from all parts of the world due to the highly stocked walleye population, provided by the Minnesota Department of Natural Resources. As any angler will tell you, there is perhaps nothing more satisfying that grilling up a day's catch over a roaring bonfire in the cool Minnesota evening with a smore or two at the end to satisfy your sweet tooth. While fishing is certainly popular, your family will be delighted by the variety of activities available on the waters of Gull Lake. Swim through the clear, cool water. Relax as the waters of the lake gently lap against the sides of your boat. For the adventurous, water-skiing and sailing are permitted and welcomed on the waters of Gull Lake. For the more terrestrially minded, hiking along one of the thousands of miles of area hiking trails is a delightful way to spend an afternoon. Pack a picnic and savor a day free from the concerns of daily life. Horseback riding is popular here; check out the Outback Trail Rides or the Pine River Riding Stables if you are looking for a horse or tour-guide. Winter brings pastimes of its own including cross country skiing, snow-mobiling, ice-fishing and even ice skating on certain sections of the lake. No matter what the season, Gull Lake is certain to offer an activity that will delight every member of your travelling party. 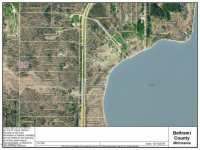 Land is in high demand along the shores of Gull Lake. 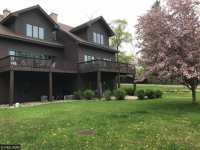 While development has been high due to the popular and beautiful waters of Gull Lake, the area has been able to retain its acclaimed peace and tranquility while simultaneously emerging as one of the premiere vacation destinations of the Midwest. 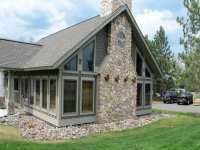 Properties here range modest vacation rentals to elaborate, multi-million dollar luxury lake homes. 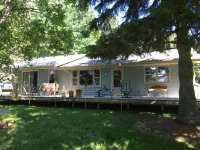 While one statistic claims that there are approximately twenty-eight vacation cabins per shoreline mile of Gull Lake, properties here maintain a high level of privacy due to the heavily wooded nature of the area. 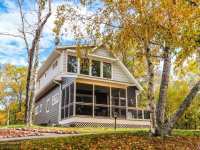 With the world-class scenery and recreation of Gull Lake, one thing is certain; Gull Lake property can be an excellent investment, especially for the family looking for a truly peaceful destination year after year. 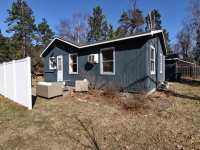 Various services specialize in helping you rent out your vacation property or lake lot during time periods you are not using it, helping to maximize the value of your investment here along the shores of Gull Lake. 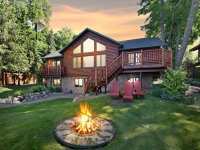 Mille Lacs, located minutes from Brainerd and Gull Lake, is home to the Mille Lacs Indian Resort complete with a casino for the enjoyment of the adults in your travelling party. Explore the prehistoric glory of Indian burial grounds, many of which are located near the site of the Gull Lake Dam, half a mile down the Gull River from Gull Lake's outlet. It is incredible to contemplate that members of the Woodland American Indian tribe roamed these lands thousands of years ago, taking advantage of the rich natural resources as they hunted and foraged for food. Countless area golf and tennis courses beckon the athletic and novices alike. 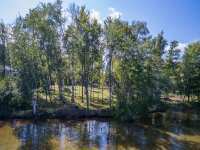 The greater Baxter/Brainerd area offers both peaceful seclusion in nature along with a myriad of cultural attractions and events. Also nearby is the lovely city of Nisswa, Minnesota, home of the much-admired Gull Lake Resort. Other area resorts include Cragun's, Madden's and Grand View Lodge. 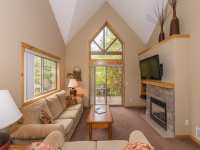 In total, the Gull Lake region boasts approximately twenty fine resorts along with an amazing array of vacation properties. 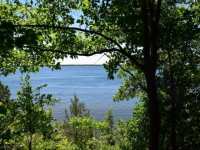 If you have ever considered taking a different kind of vacation - one without the pressures of tours, amusement park ride lines, crowded spaces and expensive destinations, take a look at all Gull Lake has to offer. Beware though, once you experience a Gull Lake style vacation, other vacations may look miserable by comparison! 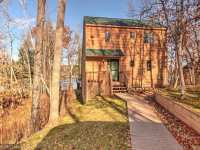 With scenic lakes, peaceful forests and clear lakes, Minnesota, commonly referred to as the Land of 10,000 Lakes, and it is an excellent destination for a relaxing getaway. 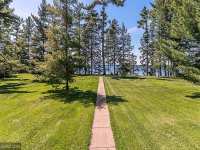 Of all the lakes in this vacationing paradise, Gull Lake is possibly the most popular destination for vacationers seeking respite from the busyness of their everyday lives. 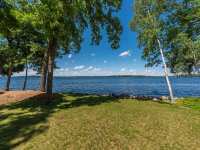 Gull Lake, located just outside of Brainerd, Minnesota in Nisswa, is a prime destination to experience north country, lake-front living at its finest. With its peaceful shores and natural sand beaches, Gull Lake is a wonderful place to kick back and enjoy a true respite from the pressures of your daily life. Surrounded by majestic pine forests, the deep, crystal waters of Gull Lake are calm and serene. Check in with one of the local marinas or resorts to rent a boat for a day of aquatic relaxation. Sunbath on the deck of the boat while watching for glimpses of waterfowl, eagles and other area wildlife. Fishing is especially plentiful in the scenic Gull Lake. 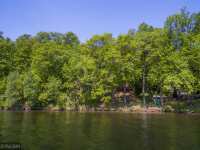 In fact, Gull Lake is often mentioned as one of the best fishing spots in the state of Minnesota. Largemouth bass, smallmouth bass, panfish, walleye and northern pike thrive in the ideal habitat created by the large variety of native water plants living in the lake. Explore the beautiful waters of the lake by paddling about in a kayak or a canoe. If you prefer to stay on dry land, there are numerous hiking and biking trails around the lake and the surrounding forests, offering the unique opportunity for first hand encounters with wildlife such as white-tailed deer, eagles, falcons and otters, to name a few. If you are lucky, you may even catch sight of a moose along these scenic Minnesota trails. Once you have absorbed the great outdoors for a while, treat yourself to a little well-deserved luxury. 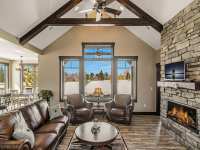 Many Gull Lake resorts feature an impressive array of amenities. For true relaxation and pampering, splurge on a facial or a pedicure at one of the local spas such as the Glacial Waters Spa at the Grand View Lodge. Hone your golfing skills on some of the Brainerd Lakes best championship golf courses amidst the scenic backdrop of the Minnesota forest. Enjoy an evening of gaming at the twenty-four hour Grand Casino Mille Lacs in nearby Brainerd. 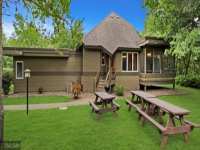 Relax with a delicious meal and a glass of wine at a cozy tavern in Nisswa, Brainerd, or Pequot Lakes. Just because you are in the heart of beautiful forests and wilderness doesn't mean you need to "rough it!" 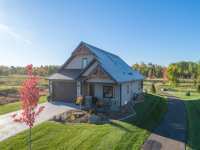 In the communities surrounding Gull Lake, visitors will find a plethora of entertaining, yet educational, attractions. Area museums such as the Crow Wing County Historical Society and Museum or the Paul Bunyan Land and This Old Farm Museum, both located in Brainerd, are a delightful way to absorb the rich history and culture of the region. Half an hour away in Little Falls, Minnesota, visitors can learn about the life and aviation career of Charles Lindbergh at The Charles Lindbergh Historic Site. In nearby Crosby, tour an active underground ore mine at the Croft Mine Historical Park. Sign up for a tour with a local bird watching group, such as the Brainerd Bird Guiding Service. 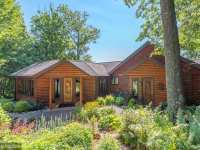 Regardless of your interests, you are sure to find attractions your whole family will enjoy in the Gull Lake region. For recreational amusement in winter, consider a trip to Ski Gull in nearby Baxter, Minnesota. 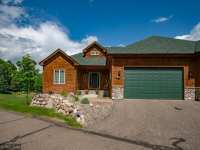 Here, the entire family can enjoy downhill skiing and snowboarding. For smaller children, Ski Gull also offers snow tubing. Ice fishing is a winter art form on Gull Lake. An expert fishing guides can help you try your hand at this classic Minnesota cold-weather pastime. Snowmobile along area trails to experience the thrill of flying through the winter wonderland along the shores of Gull Lake. Area trails are also great places to cross-country ski through the wintry wilderness. If cold weather isn't your game, enjoy a cup of hot cocoa while sitting by a roaring fire in your vacation rental or resort. Or, soak in a luxurious hot tub while snowflakes fall gently outside. 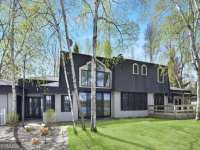 Gull Lake features a variety of high end resorts and accommodations, including famous properties such as Cragun's, the Grand View Lodge and Madden's. Many of these resorts feature amenities such as indoor pools, indoor basketball courts, fitness rooms, spas and restaurants. Some of the area resorts and hotels even offer fishing or hunting package deals. 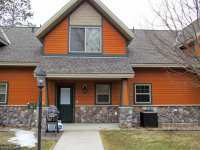 The vacation homes available for rent, time-share or purchase here are spectacular and if looking, you are sure to find your dream home during your visit to Gull Lake. No matter what type of recreation you seek, Gull Lake is an excellent vacation destination. Commune with nature surrounded by the comforts of modern amenities at Gull Lake. After spending some time immersed in the natural beauty of this country, you are sure to be refreshed and recharged. 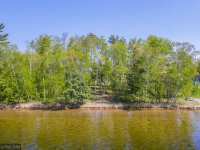 Location: There are seven lakes with the name of the Gull Lake in Minnesota, but the most famous one is located near the city of Nisswa in the Crow Wing Watershed of the Cass County. 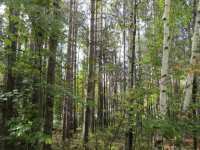 It is one of the major attractions of Brainerd, the center of which is located to the south of Nisswa. 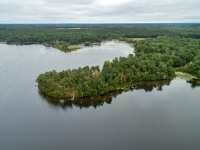 Importance: The lake is so popular that the city of Nisswa has gained its popularity due to it. The area around the Gull Lake can be looked upon as a microcosm of the entire Minnesotan culture. A very large tourism industry has grown here, which attracts local residents as well as tourists from outside the state as well as outside the country. The abundance of basic tourist facilities and attractions has added to the significance of this place as a tourist hub. At the same time, there are several small lakes around the Gull Lake which have their own little importance in the area, which adds to its tourism value. On the west, there is the Margaret Lake and on the east there are the Round and North Long Lakes which supplement the main lake area of Gull Lake. Size and Other Specifications: mThe lake is 15 miles in length and has a width of about 2 miles. This makes the total shoreline of the lake close to 38 miles, making it one of the largest lakes of the region. The total area occupied by the water on the surface of the lake is 9,418 acres. The maximum depth of the lake is about 80 feet and its median depth is 30 feet. The surface elevation of the lake is 1,253 feet. Fishing at Gull Lake: mThe Gull Lake is a preferred fishing location for bass and panfish because of the presence of bulrush in the water. The lake also has a stocked population of walleye which is close to three million, making it a popular fishing spot for this species. Other species found here include the northern pike and the brown trout, though this species is now classified as threatened. Other Attractions: Apart from fishing, the Gull Lake is also a popular area for boating. 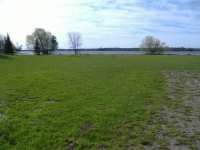 The lands close to the lake are famous for tennis and golf.�There are five public accesses to the lake and it is zoned as General Development. Golf courses are abundant here, most of which are located within the resorts around the lake. Most of these are equipped with state of the art facilities to enthuse the avid golfer. However, since Gull Lake is a preferred vacation spot, you will be sure to see a lot of amateur golfers playing away too. There are also tennis courts in the area. Swimming pools are also provided by the resorts in this area. Cruises are offered by most tour operators on the Gull Lake. These cruises are offered for small as well as large groups of people. Families or any other group of people can book these cruises and avail of bulk rates. However, in the peak season, booking will be needed in advance. At other times, you could just walk in to the lake and get into the first cruise ship that is about to leave the shore. 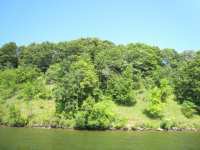 The lake itself provides for enough sightseeing, but there is also a dam and Indian burial grounds in the nearby area which hold visitor attraction. Living Facilities: A number of resorts and shore houses are present in the near area where cheap accommodation can be obtained. 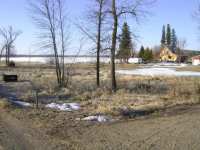 People can also decide to live in the interiors of the nearby cities and make day trips to the Gull Lake. The seasons of spring to fall are the times when these accommodations see a great number of people and it is best of book in advance during this season. 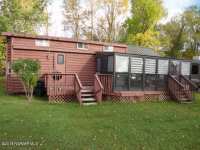 Holiday homes are also available, but prices vary here too according to the location of the home. 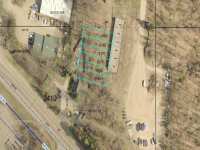 Various kinds of commercial properties are available on the shores of the Gull Lake. 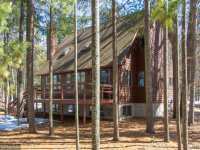 Settling here is a great option if you are looking for a peaceful life wrapped in the comforts of nature. The homes available here are both first homes and homes where people have lived in and vacated. 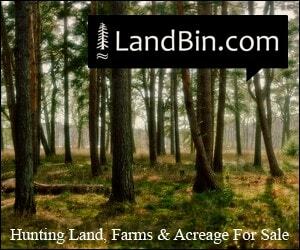 You can also find prime hunting land here or land on the shore of the Mississippi River where you can build your own home. You can even set up a hobby farm if you are so inclined. 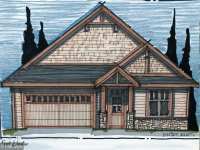 Or, if you want to start a business in Gull Lake, a good real estate agent will help you acquire a suitable land for the purpose. 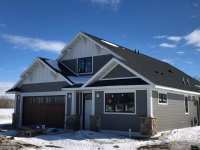 One of the important points when selecting the real estate agent for Gull Lake is to speak about the location where you want the home and the kind of home that you are looking for. This will narrow down the search and make it easier for you to find the right kind of accommodation.